Today we are taking a step back to our work on content. A tweet yesterday, by Heather Theijsmeijer, has been retweeted countless times, and it has inspired this post on how to work smarter, not harder. We KNOW educators are very busy. The OPC/UWO report on the role of the Principal in Ontario is a sobering look at the hours required to manage schools and lead learning in this province. Today we explore another tool that will help you streamline the content you view each day. In the comments on a previous post in this series, a colleague asked us how to quickly follow blogs using RSS feeds, so that she could visit one site and read all of the postings. RSS, or “Really Simple Syndication” allows you to aggregate a number of sites into one place, allowing you to quickly check in and scan a number of feeds at the same time instead of visiting a number of different sites. While there are many options to choose from when you are looking for an RSS Reader, we are going to walk you through Feedly. You are asked to pick some topics that interest you to begin. 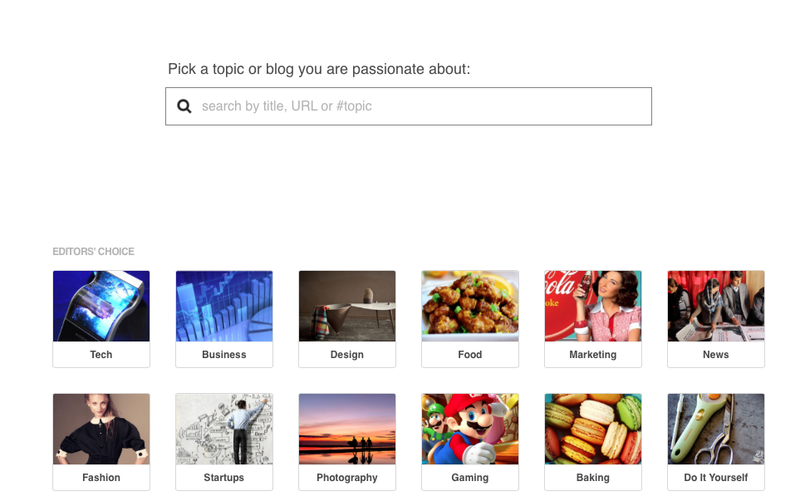 Like other tools we have used (pinterest, flipboard, zite), you will be able to narrow this search to personalize your feed. Choosing #Education brings up some possible blogs/sites to follow. Click the green plus sign to start following. 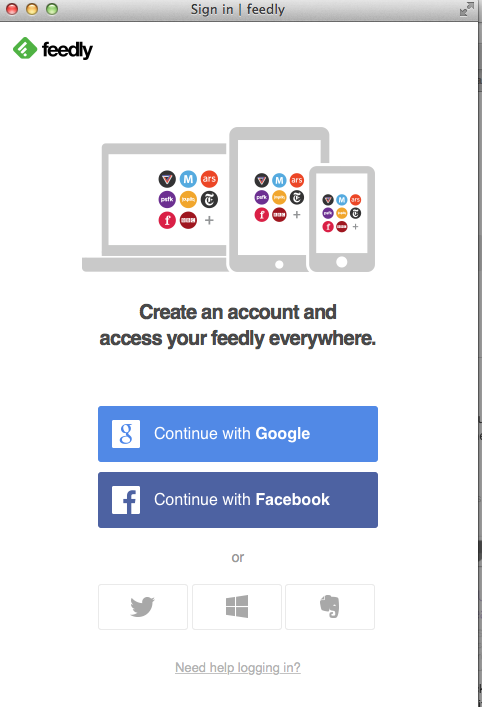 Feedly will then signal you to sign in with a social media account. Once your account is created, you continue to add the blogs and sites you want to follow. The blogs and sites you follow will then appear on the left side of the page. How do you follow a blog that does not automatically appear in Feedly? Let’s look at how to follow this blog. 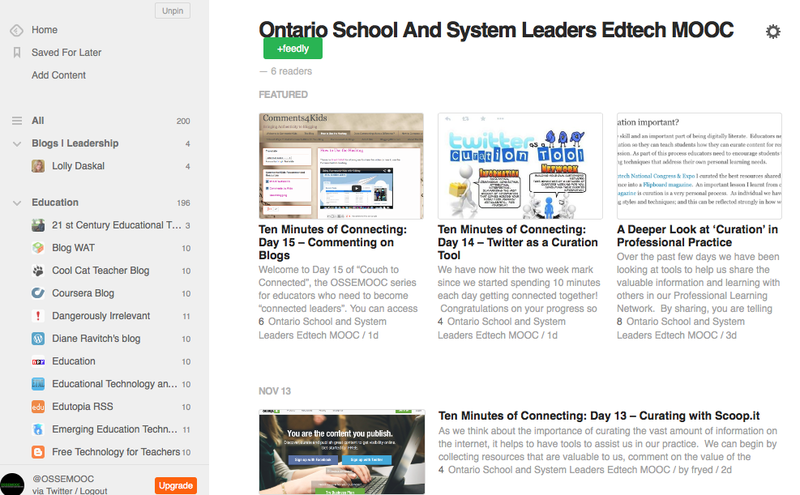 At OSSEMOOC, we make this blog very easy to follow. We will look at three different ways to do it. To begin with, OSSEMOOC provides an opportunity to follow by email update. We cater to new users, and this is the simplest method to follow every update. But not every blog or site provides you with this option. Copy the web address by highlighting it and using the keys (held down together) <CTRL c >(<Command c> on a Mac). 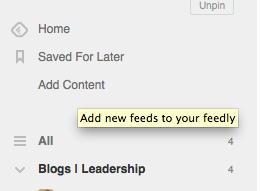 Go back to Feedly and “Add Content”. Paste the address into the dialog box by using the keys <CTRL v> (held down together) (<Command v on a Mac>). 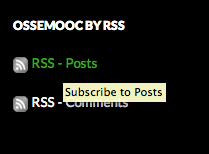 Now click the green + to add OSSEMOOC to your feed. You can choose what collection or stream you want OSSEMOOC to appear in. 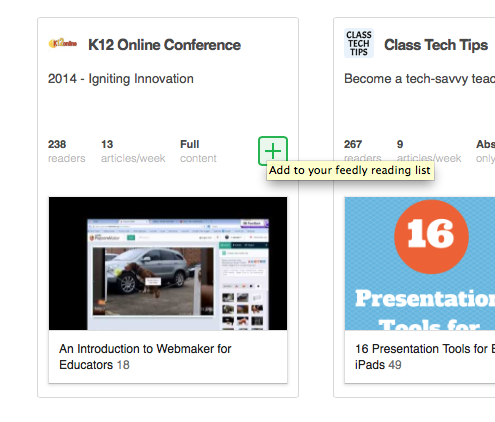 To start using your Feedly reader, simply click on “all”, or on specific collections. When you see an item of interest, simply click on it and you will be taken to the original site. 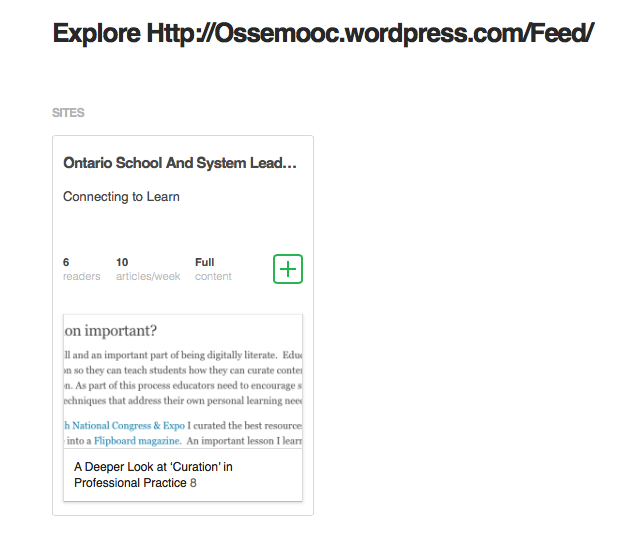 Of course some blogs and sites, like OSSEMOOC, make it simple to follow on Feedly by clicking on the Follow button. 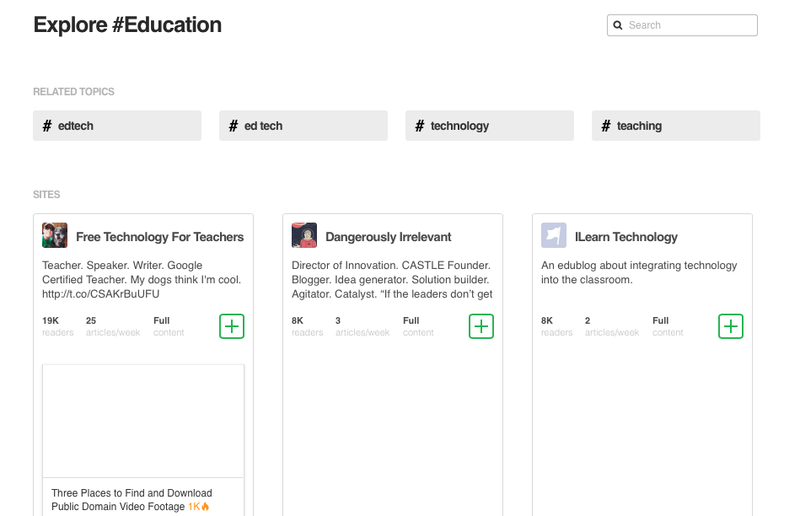 Now you can start building your personal feed so that you can simply follow your favourite blogs, news sites, research sites, etc. Remember to share your best findings with your PLN.